Why Using a Free Proxy Can Be a Bad Idea? Today we will be discussing a very serious issue its about the online security of the internet users. Of course everyone all around the world are very conscious about their security on the internet. On the other hand, most people like to use free different services on the internet. 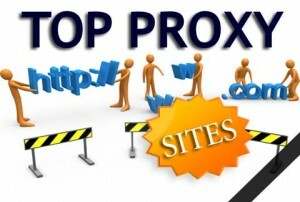 Free Proxy is one of those services available to the people all around the world. Now, you have to be very careful when you are looking for any of the free stuff, of course these services are free but most of them are also unsafe. Now, you have to keep in mind that if you want to use proxy services for casual purposes, then it is not a very bad idea. First of all, if you are using a shared computer and you are not using any sensitive or private information over the internet, then you wont have to worry about using proxy services. On the other hand, if you want to use your personal, private and sensitive information like your online bank account, online shopping and similar things, you should really avoid using a free proxy service. In addition to that, you should also avoid accessing a proxy service from your personal laptop or computer because that can also prove to be very dangerous for you. Basically, most of the free proxy servers are owned by hackers from different parts of the world and they control every aspect of those servers. So, if you are using a free proxy service, there is a chance that any of those hackers will invade your privacy by entering in your PC and stealing your data or if you are accessing any other sensitive info over the internet, that can also be compromised because hackers will be able to do anything with your internet traffic that is passing through that proxy server. All the reasons that I have mentioned above only suggest that if you are conscious about your online safety, you should avoid connecting to a free proxy server. We are here to provide you a better alternative which is called VPN connection. Once you get a VPN connection, you will be able to enjoy all the services offered by the proxy servers and even more and except all the risks. A VPN will connect you to remote server located in another country of your choice and all your internet traffic will be transported to that server via an encrypted tunnel. In addition to that, the data itself will also be encrypted to ensure its maximum protection over the internet. The only thing that might worry you is that VPN is a paid service and you will have to pay annual or monthly subscription fee to enjoy all these great services. Well, VPN does not cost that much and you will be able to afford it very easily. Here is the list of some of the best and very affordable VPN service providers for all over the world. I am using Hotspot Shield Free VPN. However free version is ad supported, but its good from all other available free vpn’s. You can surf anonymously and access all blocked websites using HSS.